The Joy Tomchin Community Grant is a small, non-restricted grant of funds made to a non-profit legal organization doing cutting edge work that benefits the most marginalized of the LGBTQAI communities. 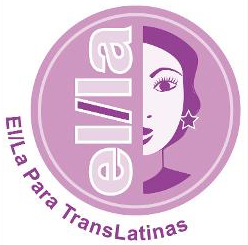 For over 10 years, El/La Para Translatinas has empowered transgender women to educate themselves about risks to their health and safety, support each other in identifying barriers to full participation in society, and find resources to overcome those barriers. El/La makes transgender women and allies visible by showing the world their experience and building coalitions to respond to attacks on the community. El/La’s programming includes an evening drop-in space, family-style celebrations, life issues and skills group, HIV prevention and PrEP Navigation, case management, street outreach, several paid internships for community members, and advocacy on transgender issues including immigration, violence, health, and city funding. Many members of El/La are immigrants, and El/La works closely with a number of LGBTQ and immigrants rights organizations to protect their rights and educate them about their legal options.